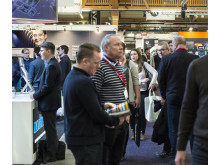 Subcontractor Pop-up Expo - new this year at Elmia Subcontractor. 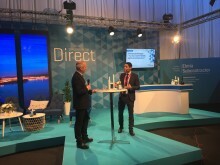 The manufacturing industry’s role as an engine for the economy of Sweden Inc. was also noticeable when Sweden’s Minister for Enterprise and InnovationMikael Damberg and the leader of the Swedish Centre Party Annie Lööf were questioned on stage at Subcontractor Direct. 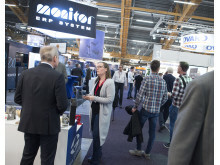 The favourable climate for the industry and all its suppliers was confirmed by positive figures presented during the fair by Teknikföretagen, the Scandinavian AutomotiveSupplier Association (FKG) and Swedish Industry Association (Sinf). 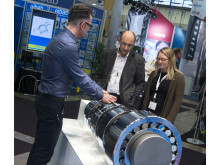 SKF is launching a series of new products on the Swedish market at Elmia Subcontractor 2017. The focus is on efficient rotation and increased operational safety. Perseverance pays off. The Italian company Ma. Bo. 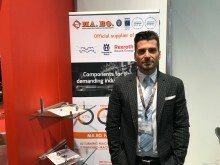 is exhibiting this year at Elmia for the fifth time and sales manager Pierluigi Casadei has seen strong growth for the company. “It gets better and better every year,” he says. Better design possibilities and greater efficiency – using a light guide plate equipped with LEDs has many advantages. 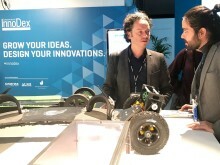 The Danish company Ingemann Components is presenting the possibilities and the solution at Elmia Subcontractor. 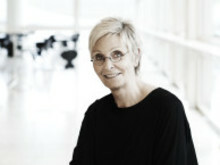 The Internet of Things offers new opportunities to Swedish industry. One step towards success is to become more transparent as a company and exchange ideas with others. 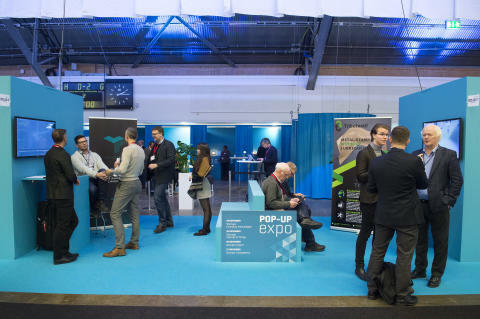 One such example is the joint venture Combient, which visited Elmia Subcontractor and took part on stage under the theme “The IoT is creating opportunities for new products and business deals”. 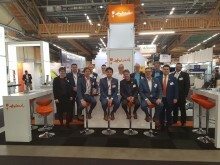 Steel producer Ovako has a tradition of launching major new products at Elmia Subcontractor. 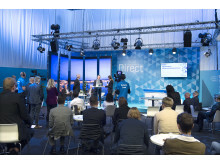 This year the company is presenting its innovative Hybrid Steel®. 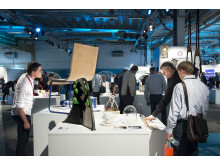 “It’s a new steel family with unique properties,” says Jukka Kivelö, Ovako’s sales manager for Scandinavia. It is obvious that the Internet of Things can create new business applications for the manufacturing industry. But the IoT can also help the world’s climate. The Swedish company WSI has developed an environmental sensor that collects weather data from 30 cities around the world. The solution can be seen at Elmia Subcontractor. Sensors on rubbish containers can help a recycling company make major energy savings. 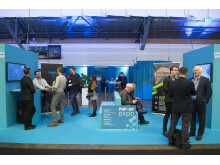 The solution was developed by the Finnish success company Enevo with help from Arrow Electronic. At Elmia Subcontractor Arrow is showing how the system functions in real life.